"We were never really born, we will never really die. It has nothing to do with the imaginary idea of a personal self, other selves, many selves everywhere: Self is only an idea, a mortal idea." In the mid-1950s, literary iconoclast and beat icon Jack Kerouac (March 12, 1922–October 21, 1969) became intensely interested in Buddhism, which began permeating his writing. It was the golden age of Eastern ideas drawing Western minds, from legendary composer John Cage to pioneering philosopher Alan Watts, credited with popularizing Zen thinking in mainstream Western society. 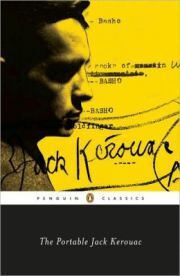 Watts, in fact, at one point criticized Kerouac’s writing as being “always a shade too self-conscious, too subjective, and too strident to have the flavor of Zen.” But when stripped of his literary self-consciousness, as he was in his private letters, Kerouac had a special way of articulating the most beautiful and eternal concepts of Zen Buddhism with equal parts expansive awareness and crystalline precision. Kerouac sent one such letter to his first wife, Edie Kerouac Parker, in late January of 1957, a decade after their marriage had been annulled. Found in The Portable Jack Kerouac (public library) — an altogether terrific treasure trove of his stories, poems, letters, and essays on Buddhism — the missive is nothing short of exquisite. More than half a century after Kerouac penned that beautiful letter, director Sergi Castella and filmmaker Hector Ferreño transformed the writer’s words into a magnificent cinematic adaptation for Dosnoventa Bikes, with a haunting, Johnny-Cashlike voiceover by James Phillips and beautifully curated music by Pink Floyd and Cash himself. As an intense lover of both bikes and literature, it makes my heart sing in multiple octaves.